The Pirastro Flexocor String Set offers a reliable response to your violin. The A, D and G strings? rope cores produce a rounded sound supported by warmth and clarity. The E string?s steel core has a more direct, bright sound. The silver, titanium and aluminium windings provide each string with enhanced frequency resonance and a more comfortable feel. This strings? medium gauge tensions have a suitable balance between versatility and playability. This string set is designed for full size violins and features ball tailpiece ends. 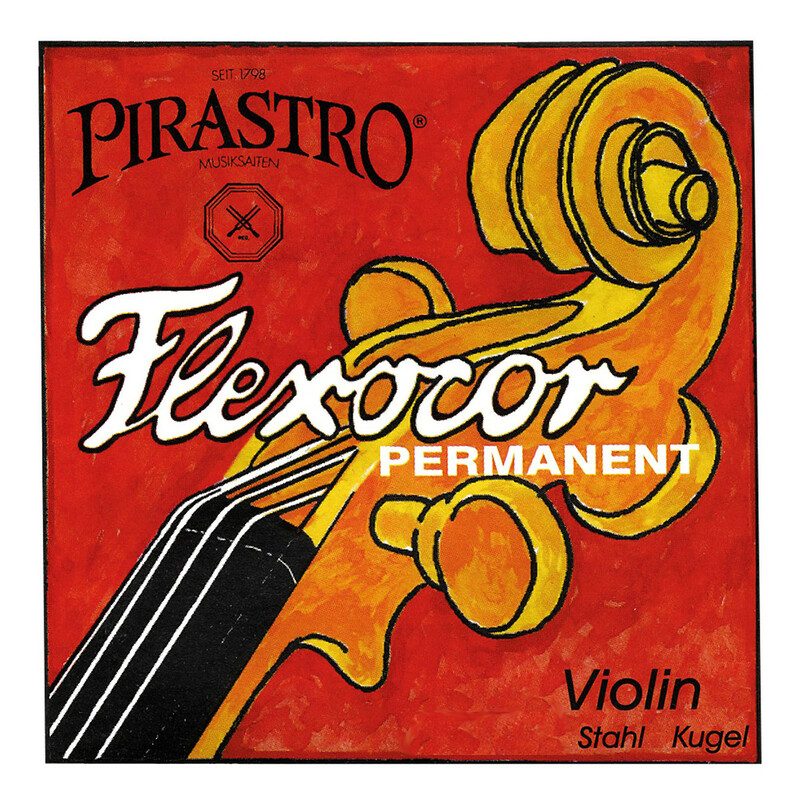 The Flexocor string series is ideal for developing players who require balanced, smooth sound. The strings’ loud, rounded sound gets the best out of your violin’s wood and resonance. Because of the flexibility, there is access to a wide range of tonal possibilities as the steel is sensitive to subtle nuances in your playing. Each string has a specific winding that assists in making the right frequencies punctual and clear, as well as adding comfort to your playing. For players who need a reliable string whilst advancing their skills, the Flexocor range is an ideal choice.